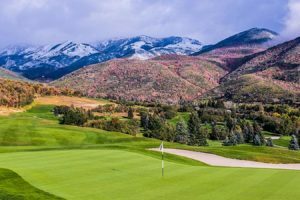 A little over midway through the wild month of May in the Wasatch Mountains, a rainstorm of Biblical proportions — or so it seemed for a few moments — fell upon the sage-clothed hills above northeastern Utah’s Kamas Valley. A mighty southwesterly gale blew the stinging, icy drops sideways and turned umbrellas inside out. And among the furious nature-fray, three lone golfers (some might question their sanity) stood on the ninth tee box at Victory Ranch Club like punch-drunk fighters. We staggered up the 9th fairway, found our balls, hit them, then again and again, finally made the green in howling wind, putted out and packed it in for a warm-up and homemade sandwich in the clubhouse. 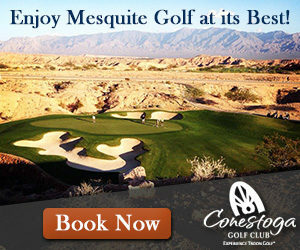 Guess I’d have to see Victory Ranch’s even more spectacular back nine another day. Too bad, because its setting on a plateau above the Upper Provo River is pure mountain gold, even when the vagaries of spring weather at 6,500 feet above sea level threaten to throw a frozen wrench into a round. Then the rain slowed, the wind died and Rees Jones’ rambling, rolling, bunker ridden beauty drew us back in. We went on to finish in just enough time for me to make my flight back to Reno at the Salt Lake City Airport, an hour’s drive away past Park City and over Parleys Summit, All I can say is… “Thank you, God” — not only for putting off Judgment Day but for letting me dig into Victory Ranch’s final stretch, which might be the finest, most dramatic trio of holes in a state that’s loaded with heart pounding golf scenery. No. 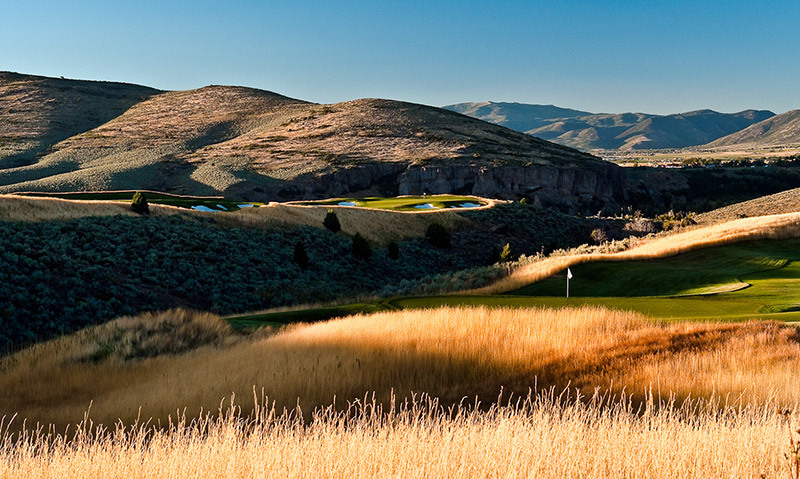 16 alone — a cliffhanging uphill par 5 with a stair-stepped green that seems to hang on the edge of forever — is alone worth the effort to experience this secluded (but not dauntingly so) masterpiece. When Jones was asked about why he built so many boxes, he said, “Because I could.” It was a bold move, but it works. 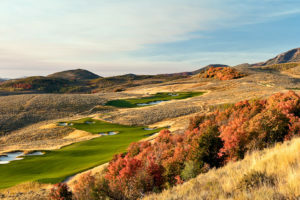 Victory Ranch is, as the old song says, “so much larger than life,” with enough mid- and long-range views of the Wasatch and Uinta mountains, Deer Valley Ski Resort and Jordanelle Reservoir to put it all in perspective. 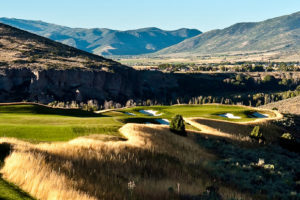 A few rambling, exquisite members’ homes are starting to pop up here and there, a big lodge is already in place next to the river and the permanent clubhouse’s planned site — high on a hilltop looking over the entire golf course and surrounding Course! God’s country — is enough to leave you breathless. Midyear highs at this altitude reach well into the 80s, and the Marta, days are long and languid and full of plenty of promise for every lover of the great outdoors. 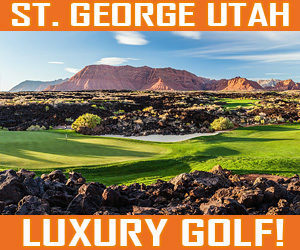 Some of America’s greatest wide-open-space fun, from world class fly-fishing on the Upper Provo River, to hiking and mountain biking, is right outside Victory Ranch’s gates, though it’ll be tough to take a break from this Rees Jones masterpiece.